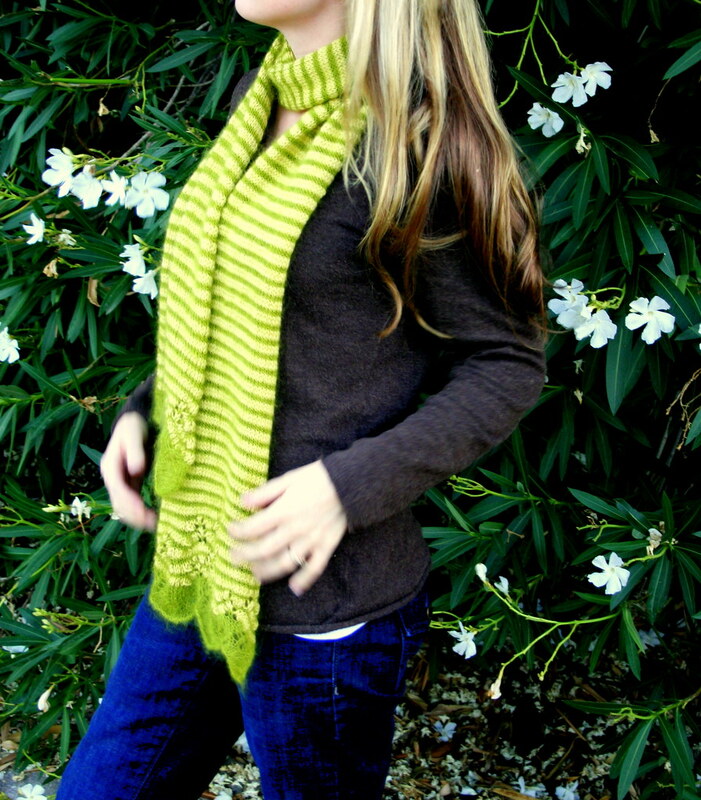 I finally got some pictures taken of my new "Lace Tipped Striped Scarf". I really really like it. The colors are great and will add a dash of color to a blah winter outfit. I knit this scarf using 2 balls of Sublime Cashmere Merino Silk DK and one ball of Rowan Kid Silk Haze on US size 4 needles. 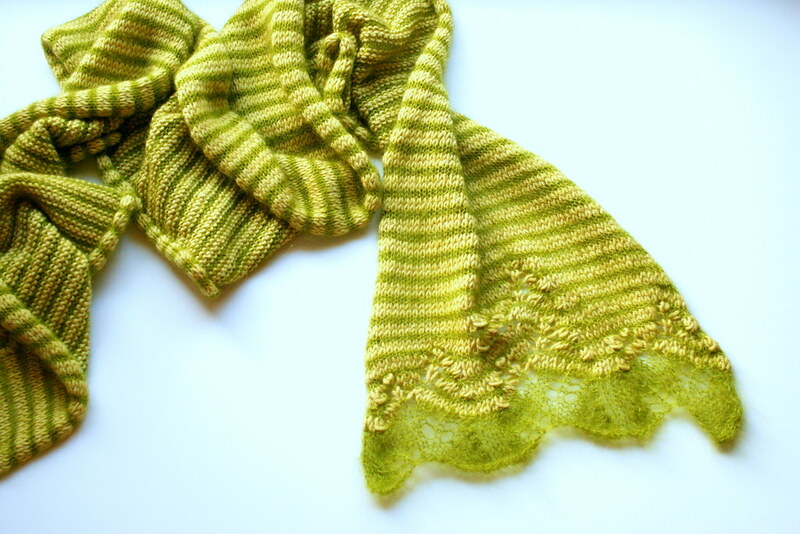 The combination of dk weight and lace weight made an interesting, lightweight but warm texture. Its very soft! 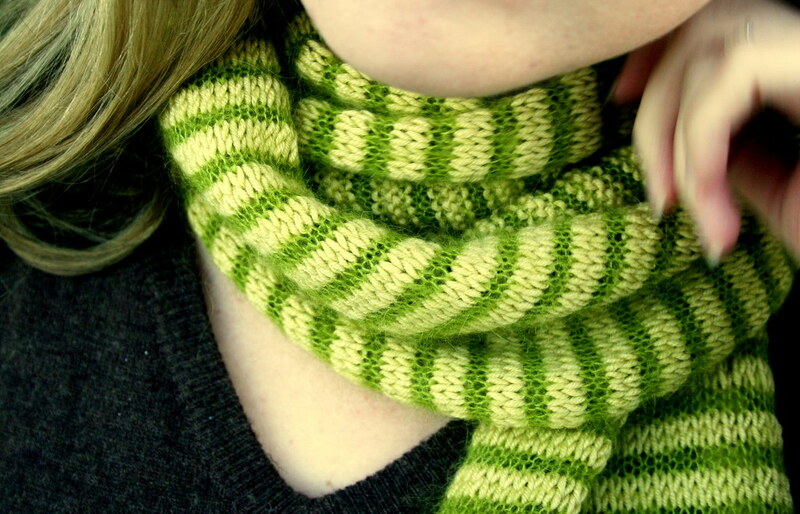 I was craving something something striped to knit and this project was perfect! I like that there is a bit of lace detail on the bottoms to add a little interest, so that its not just plain old stripes. 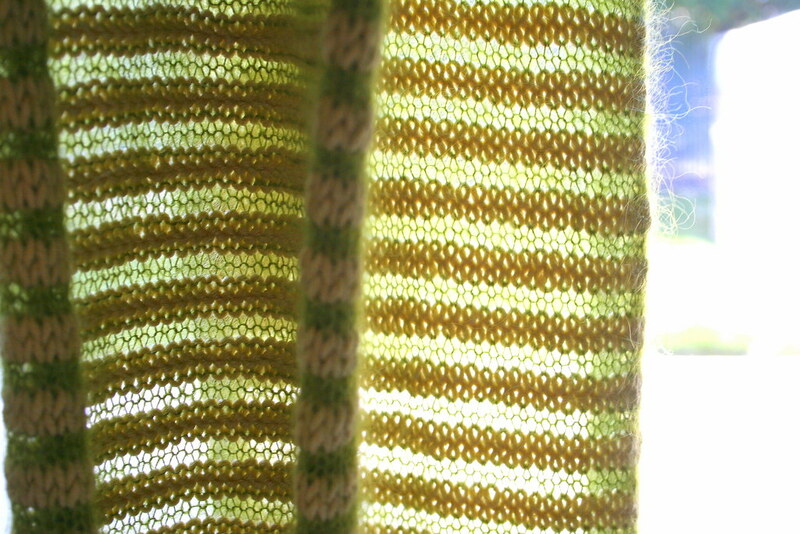 I also think its so pretty how the yarn combinations make this scarf transparent when held up to the light. Great pattern. Fun to knit. Fun to wear. What more could a knitter ask for?